SuccessFactors is looking at artificial intelligence and machine learning to improve the hiring process and,despite popular opinion in my industry, I like it. 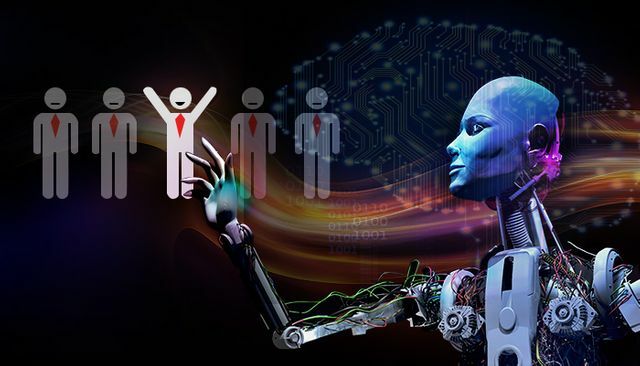 Will recruitment become a fully automated process? Is a job application something that could be assessed and scored by a program? For me, the answer is clearly no. That said, as highlighted in this article by Mark Feffer, there are a lot of situations and stages in the recruitment process where automation and machine learning could significantly streamline the process. The question for me isn't whether or not AI/machine learning should be a part of the recruitment process, but rather, how much human should there be in Human Resources? What should be automated and what requires a human touch? Automating the monotonous. This is the most obvious benefit of automation and machine learning. If you can automate processes that typically take a lot of time, are repeated often, yet require no skill/expertise, then more time can be spent on other more complex tasks in the hiring process. A good example of this is pre-screening CVs; if analytics can be used to assess an applicant's similarity to previous hires and quickly create a shortlist, this could save a lot of time in filtering CVs. Recruiters will spend a huge amount of time trying to refine different Boolean searches to identify the best candidates quickly. The better systems get at analysing data of applications, the quicker you can get to the right candidate. A bad CV doesn't mean a bad candidate. The biggest challenge with technology nowadays is not making it do what we want, but having good enough data for them to do it effectively. Though algorithms and automation could definitely pick up on the best CVs, it could also miss bad CVs of candidates who are actually good. The human element of hiring allows someone to explore experience in a way that often isn't communicated well in a CV, to dig into jobs and uncover valuable experience that you just might not write on your resume. On top of this - as someone who reads 50-100 CVs per day - I've seen a lot of incredible looking resumes where the candidates just don't live up to expectation. Could the risk involved with pre-screening CVs outweigh the benefit? Removing bias. One of the huge problems in the world right now is diversity in the work place. Analytics and machine learning don't see the world through the same eyes that humans do, and as a result can remove bias from the hiring process. In an ideal world a candidate's name, gender or race wouldn't be obvious until a face-to-face interview - AKA the stage when interest in their skill-set has already been identified. Of course, it's another challenge altogether to remove the in-built bias but this would certainly help on the journey. Evaluating the existing recruitment process. Bernard Marr made a great point in his recent article about Data Driven HR that "The beauty of data is that it allows you to test your recruitment channels and measure their success rate in much more accurate ways". Through understanding where you currently get the best results - not just in CVs received but also offers accepted - companies can spend more time investing in methods which reap the best outcome more often. Being able to break down which sector responds best to LinkedIn, knowing which areas require spend on external recruiters or which jobs are the easiest to fill, all of this information can make a smooth hiring process from the start. Personality over skill-set. More so now than ever companies are coming around to the idea that the attitude and personality of an individual can often outweigh their experience. The drift toward analytics and automation encourages what's on paper or what's definitive, but, how do we quantify the parts that aren't listed on a CV? This is a person-to-person business. The reason I add this point is because the more technology involved in a recruitment process, the less personal it starts to feel. Let's take application feedback as an example, something candidates always complain about recruiters not paying proper attention to. An automated response for every rejected candidate would solve the problem of candidates not receiving feedback. It also creates a problem of making the candidate feel a lot more like a number, like just a faceless CV, rather than a person who has taken time to apply for a job. Automation, machine learning and analytics are definitely all things that can really help the way companies recruit their staff. The challenge with these emerging technologies will be for companies to maintain the human element in Human Resources. Customers will have a balancing act to carry out in years to come: rely more on technology and risk losing a human touch, OR avoid automation and perhaps miss attracting the best talent? What do you think is the biggest challenge for companies when innovating HR? However, recruiting analytics by itself isn't a panacea. The best tools, according to Jeff Mills, director of solutions management for SAP SuccessFactors, offer "overall guidance" in addition to analytics. "Recruiting tools are leveraging data to provide deeper, more thoughtful insights into job descriptions, applicants and candidates," he said.